“I feel as if I died and now live again” said Lume. 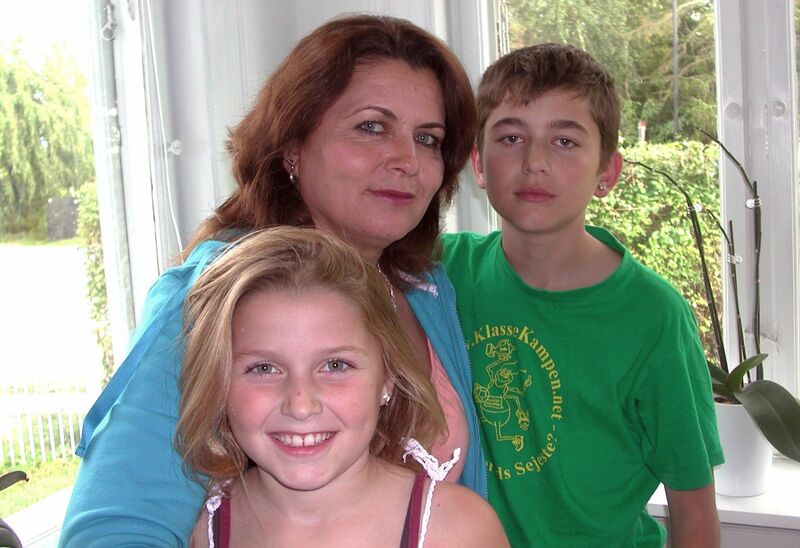 Lume Ulliri, 42, and her twelve-year-old son Dori and eight-year-old daughter Ida, came from Albania and have lived in Sandholm Center in Denmark for four years. For the last several months they have been living in an apartment in Birkerød – a town north of Copenhagen. Their apartment is on the ground floor of a duplex called Villa “Chicago,” with another family of asylum seekers living above them, on the first floor. The small things that mean so much Lume’s family can now eat their breakfast on a real dining room table, a breakfast which Lume made in a real kitchen. Dori and Ida can learn their school lessons in their room and nobody will disturb them by screaming, knocking on the door, or entering the room without invitation. There is no more fear that anyone, especially the children, will get caught up in the fighting, and that every scream could be the scream of your child. Sharing daily life You can share a little piece of this life if your friends who live outside the camp invite you to visit them. Lume did this, and shared with me and my daughter those “little” but very valuable things. A smell and taste of ordinary life. Who can live outside the asylum centers? It is not anyone who can move out from the centers. The possibility is mostly for families with children, who have stayed in Denmark for more than 18 months after being rejected asylum. The 18 months rule will be reduced to 12 months if the proposed asylum law by the government will pass through parliament.